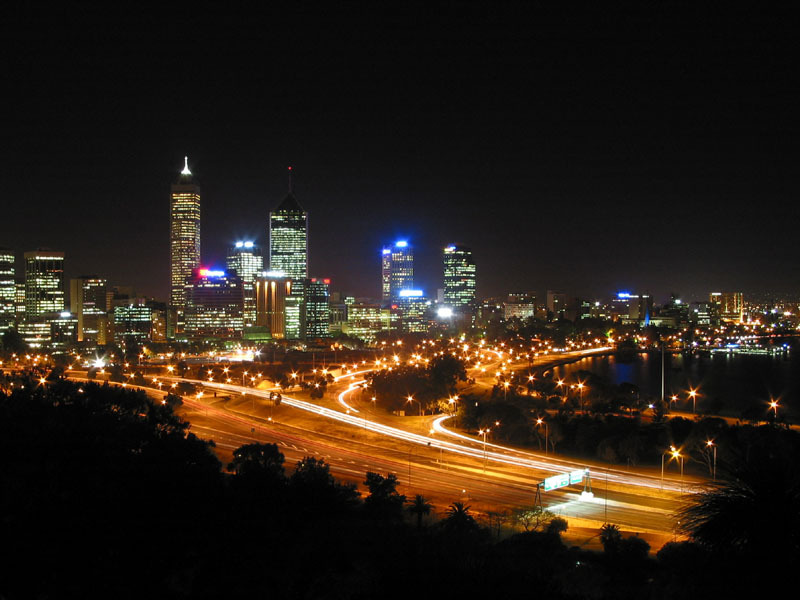 I had this picture of Perth saved on my computer. You Aussies need to represent the west coast more! Hmmm....All I see is a Red X. That's a cool pic. 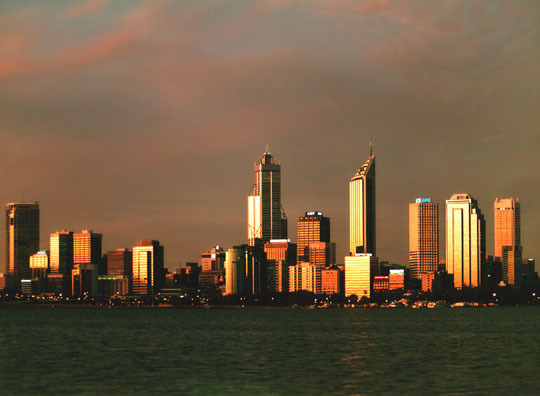 The interesting thing about the Perth skyline is that it lacks depth. From overhead, you can see that all the tall buildings are lined up along a single street. I'm assuming that zoning regulations caused this, but I am not really sure. ...however what Allan has elluded to is not quite right. The Perth CBD is quite long yet is already busting @ the seams and certainly doesn't run just along one or even two streets. I'll post some overhead pics of Perth in a seperate thread. That's cool Allan. No problemo. Here's a few more pics of the skyline. The reason behind perths linear skyline is becuase the tower's started towards the river and got larger and further from the river as they went up, the boom ended and many of our more coragous buiness men settled down safley. Added to the fact we knocked down half of perths heritage and most of the better stuff, we brang in and still have tight controls on heritage but there is still moves to develop modern skyscrapers with art deco faccads. Cool Pics! Delta, can I be your buddy? Well, heres two more pics. two or three more tall buildings and this could be considered a world-class skyline. and is in the Subtropical zone. this is my 3rd favorite place. Nice photos, thanks. I didn't realize that Perth was this big.